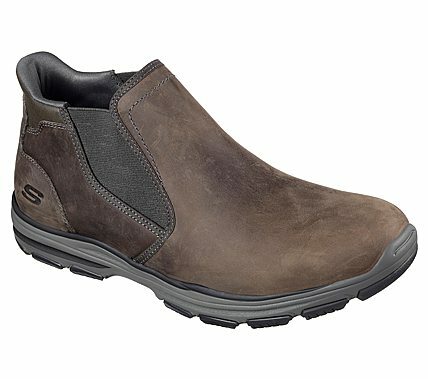 Make your style classic and versatile along with amazing comfort in the SKECHERS Garton - Keven boot. Smooth oiled leather upper in a slip on casual comfort low ankle height chelsea boot with stitching and overlay accents. Air Cooled Memory Foam insole, Skech-Air cushioned midsole.